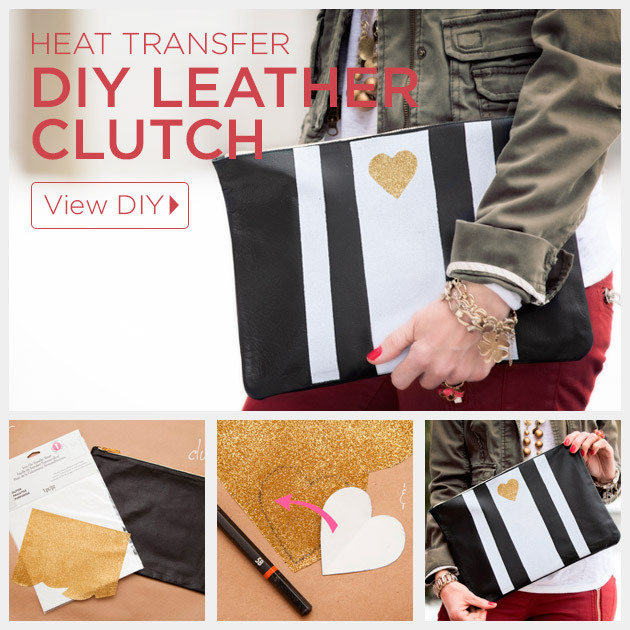 Simply and easily add designs to most any leather clutch with heat transfers to create a cute and on trend Leather Clutch DIY. 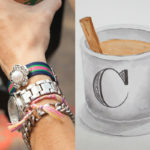 Did you know how easy it is to add heat transfers to leather? For most leather it’s just like transferring onto fabric. 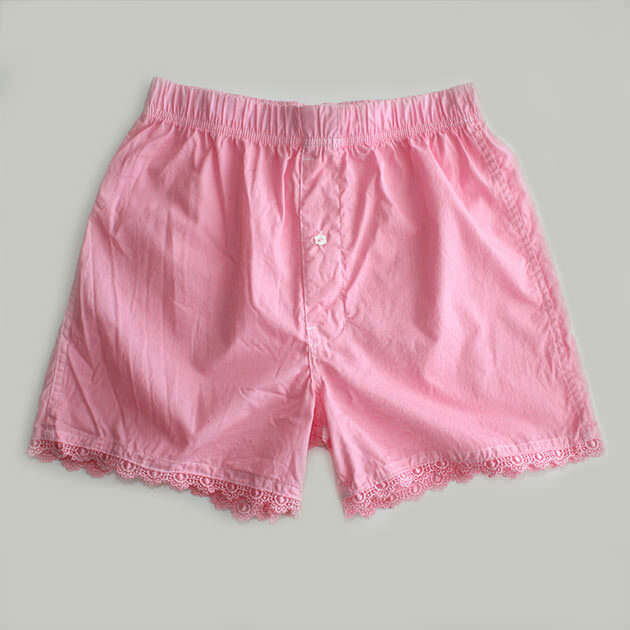 Just make sure to use a dry iron (no steam), it’s so easy. Decide what kind of design you want on your leather clutch. 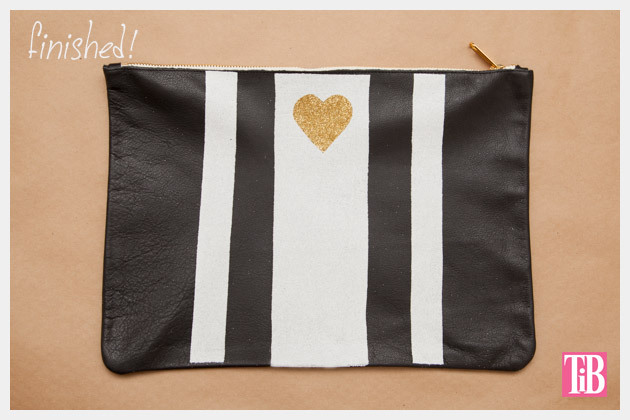 I made 3 stripes and a heart on my clutch. 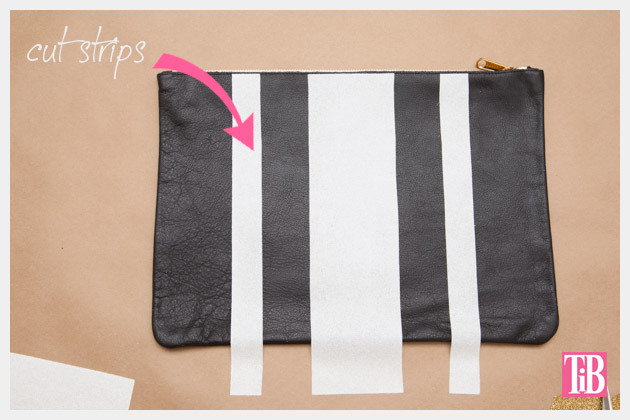 Measure on your clutch and decide how wide you want your stripes to be. I made the 2 outside stripes 1 inch wide and the middle stripe 3 inches wide. 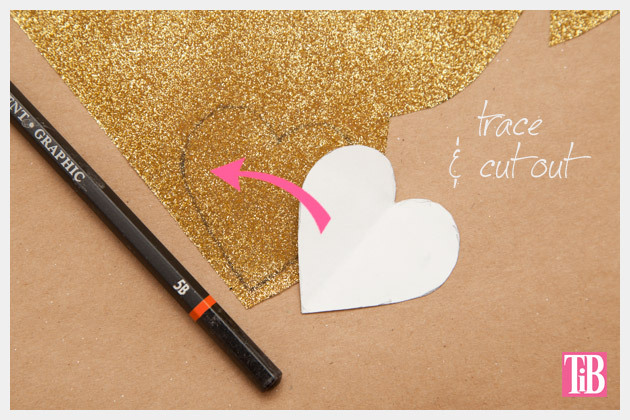 Using your ruler measure and draw lines on your transfer sheets using a pencil. I also put a heart on top of my stripes. 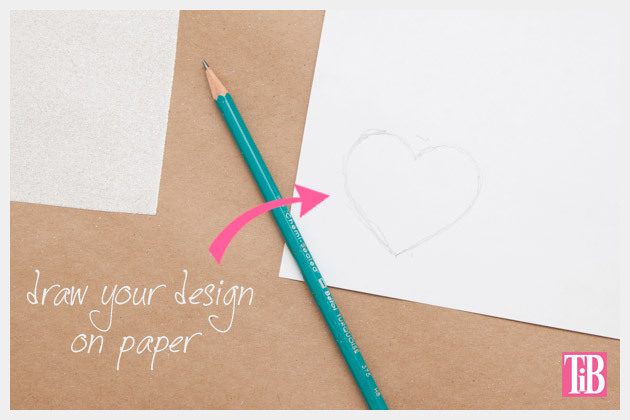 I drew a heart on paper and traced it onto my transfer paper. You can also use a stencil if you have one. Before pressing layout your design and check your spacing, make sure everything is where you want it. Turn on your iron and let it heat up. I used the cotton setting with no steam. 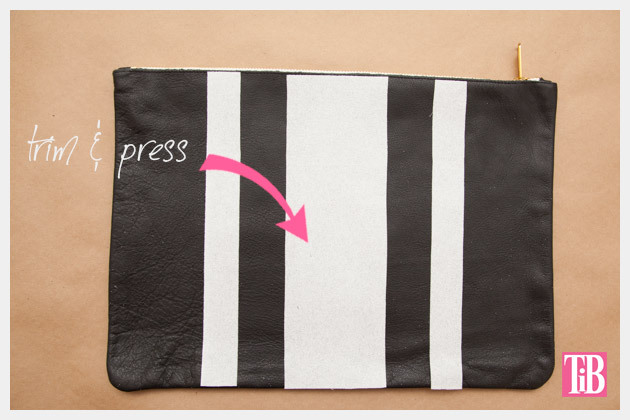 Place your transfer paper already cut in the designs that you made with the slick side down on your leather clutch. I placed the white stripes down first. When your iron is hot enough place a thin cloth over your transfer sheets on top of your leather clutch and iron on to your bag by moving the iron around slowly but applying pressure. Do this for a couple minutes, but be sure to keep the iron moving. TIP: You’ll want to be careful that your transfer sheets don’t move before they have a chance to adhere to your clutch. To avoid that place your iron straight down on to your clutch as you iron applying heat for a few seconds before moving your iron around slowly. 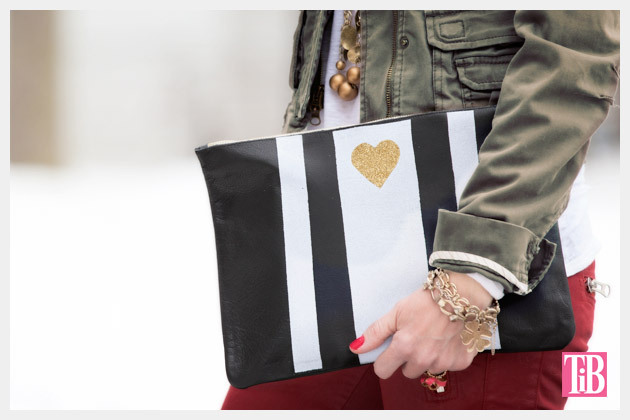 After I ironed my white stripes onto my clutch, I added my gold heart on top of the middle white stripe. Again place your thin cloth over the top and iron onto your clutch. Just be careful with zippers getting really hot, you’ll want to let everything cool a bit before touching it. Leather can sometimes be really intimidating to work with. We worry about ruining it or will the paint crack… Applying heat transfers was way more simple than I expected and I love the results. It’s a much more accurate and faster way to add stripes. 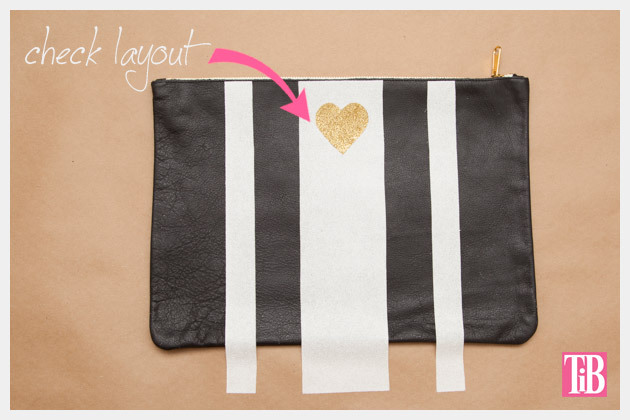 Leave me a comment and let me know what you’ll be adding to your leather clutch! 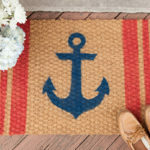 © 2019 Trinkets in Bloom | DIY Fashion Blog.